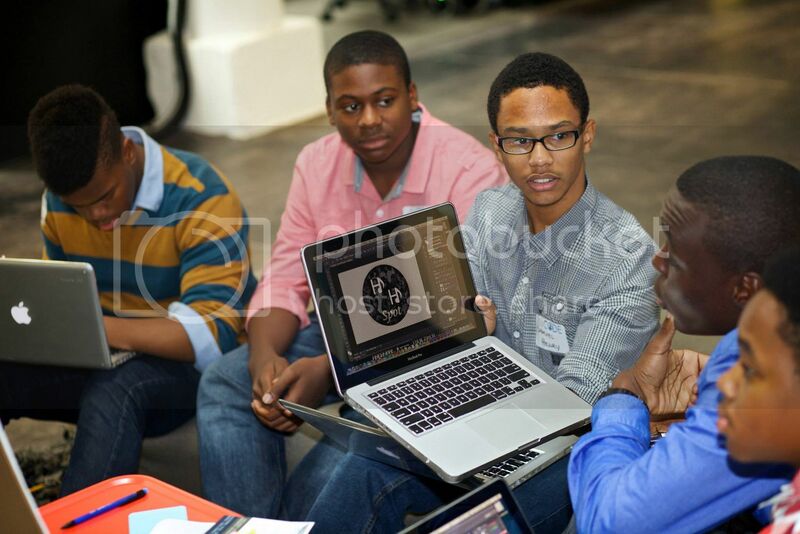 Youth participants at All Star Code's first Design a Startup in a Day workshop in NYC. Do you know a creative young black male with an interest in tech, coding and gaming? A special opportunity awaits on Saturday, November 23, 2013 as All Star Code will host its second Design a Startup in a Day workshop for young black males ages 14-17. All Star Code is a new non-profit initiative that seeks to “attract, prepare, and place high-potential, qualified young black men in the tech-career pipeline and help them achieve full-time employment at technology companies early in their careers.” The organization cites that African-Americans comprise less than 1% of startup founding teams, a critical sector for job growth and wealth creation. Applications are now being accepted for the second Design Startup in a Day workshop at the General Assembly in New York City where youth will learn to “wireframe” a mock startup company, tour the General Assembly facilities in the Flatiron district, meet mentors who are active technology professionals and learn more about their upcoming summer program. The first Design Startup in a Day was held last month at the Spotify headquarters in New York City attracting nearly 20 youth. To learn more and apply, visit allstarcode.org. Students will be accepted on a rolling basis, so please apply early. Contact program@allstarcode.org with questions, or to talk about volunteering.